Re-write printer the TattooRW card printer. The Evolis Tattoo RW does not use ribbon. The printer uses pretreated cards that react to heat to either show or hide ink. 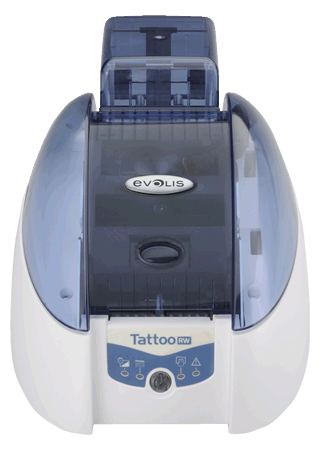 The Tattoo RW is a single side printer using rewritable cards. 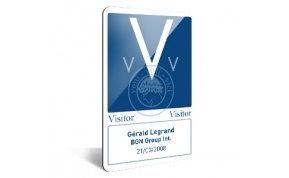 Ideal for temporary badges and ID cards that require regular updates. The next-generation printer for rewritable cards Tattoo RW is the ultimate solution to print temporary or up-datable cards. 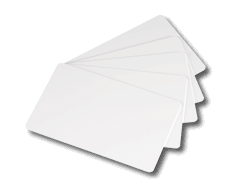 Re-writeable ID Cards, start with a card with a rewritable area. As the card goes through the printer the monochrome information on the card is erased by a high temperature. 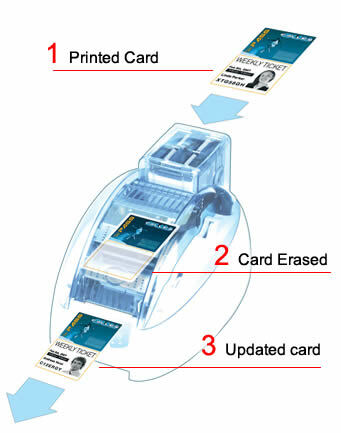 Once erased the card then has new information printed in monochrome on the card. 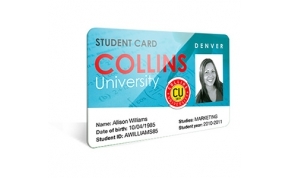 Preprinted University card with re-writeable area.